Guys! 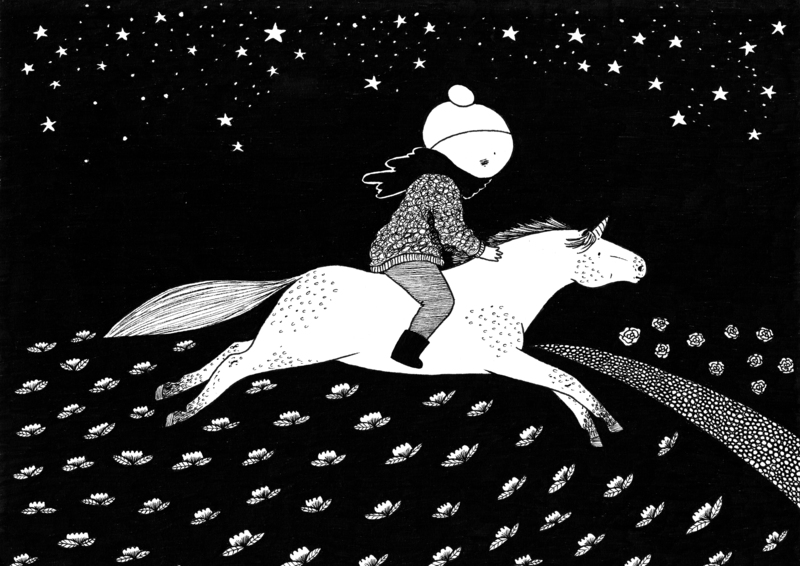 It’s finally time for DK’s largest comics festival. I have teamed up with my studio Kulkælderen and this I where you can find me 90% of the weekend. 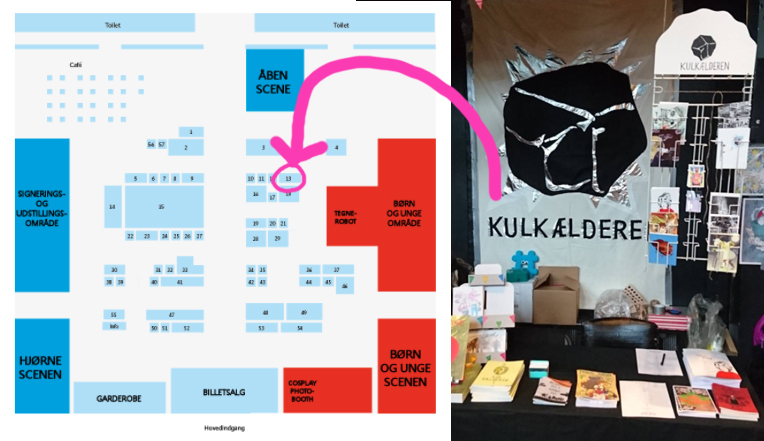 Our table is HERE (sorry about the tiny map, luckily Øksnehallen is not that big). Besides from that it’s the same procedure as the other years. I try to sell you things. In this case 3 A4 prints. I made 50 of each, and I will get my webshop back up and running if (when, let’s be honest) they don’t sell out. 300 kr at the festival, 350 kr online. 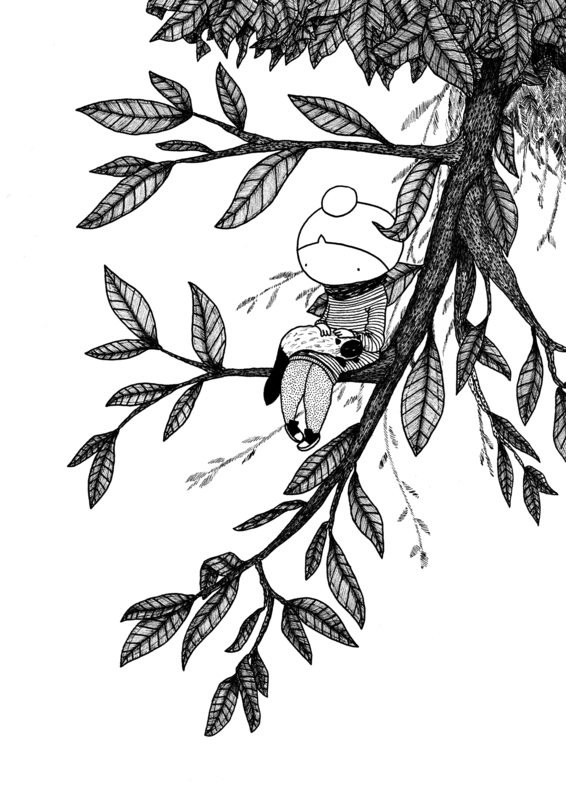 I will bring some original drawings too – mostly from the StineStregen.dk-years. Write a me comment if you have a specific request. Besides from that I will do FREE doodles for anyone that shows up, like always. It’s a “THANK YOU FOR READING MY STUFF I LOVE YOU” thing, so it will be speedy lil’ StineStregen drawings and not family portraits or entire colored book pages. I know some of you feel a little shy about this showing up and asking without buying – but I promise you: it’s cool. 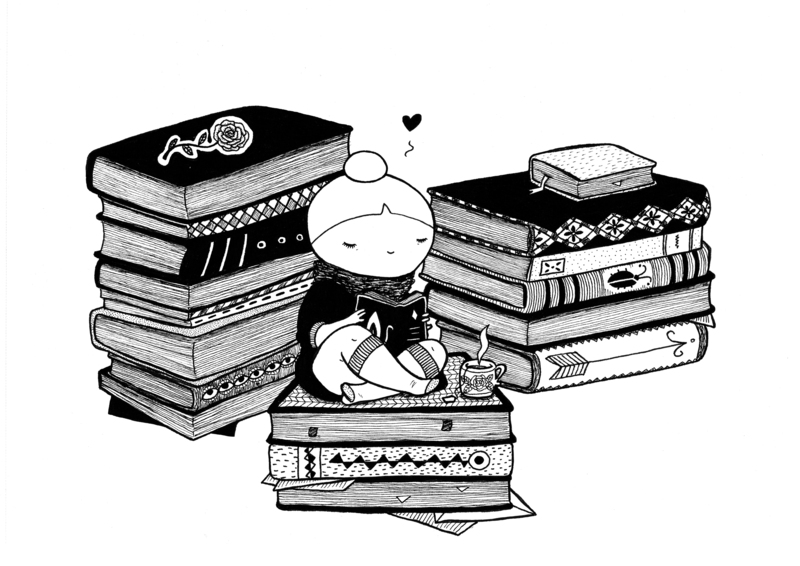 I love doing the doodles and when people add “I love cats like you, can I have a cat in my doodle?” or “I am as bad at yoga as you, will you draw something yoga?” it’s just wonderful to know that you actually read my stuff and that I can give something back. Promise! If you want it on a specific kind of paper or in your own sketch book, feel free to bring it. Otherwise I will bring paper and pens. I will also be selling my book Kærestesorg. If you think it all sounds a little busy at the studio’s table, consider showing up at Cobolt‘s stand saturday at 16 – 17 where I will be signing the book next to someone a lot more famous and there will be time to make a sweet doodle in your book. 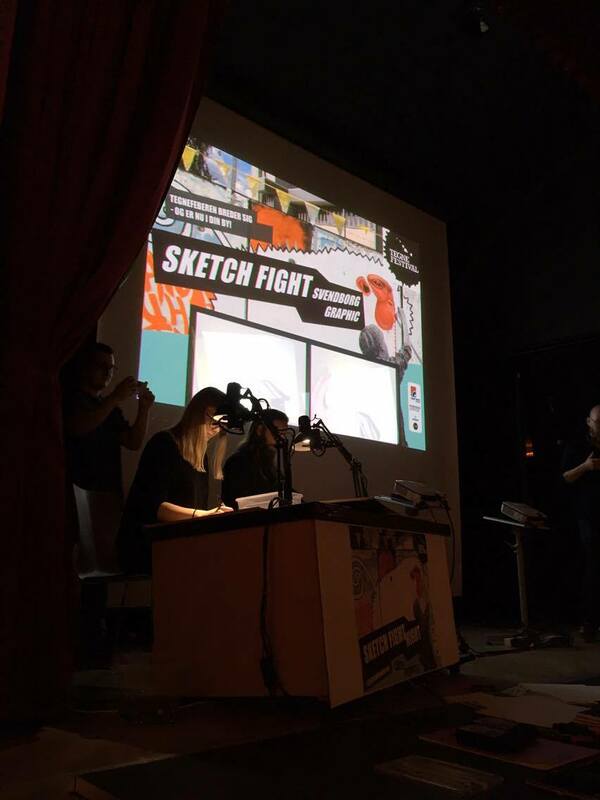 Also, I will be participating in a sketch battle sunday from 13.30-14.20. These battles are usually really fun to look at, pictures here are from Svendborg Graphic. Photo 1 by amazing artist and teammate Rune Ryberg, photo 2 by Tegnefestival. Du må utvivlsomt være et af de sødeste mennesker. Hej Cecilie. Jeg tror desværre, at det er en tegning, jeg er gået af med 😦 Jeg har lavet print med bøger, men der er ikke nogen af originalerne, jeg har pakket, der er med bøger. Du kan se dem, der indtil videre er pakket på https://www.facebook.com/StineStregen/ hvis du har facebook. 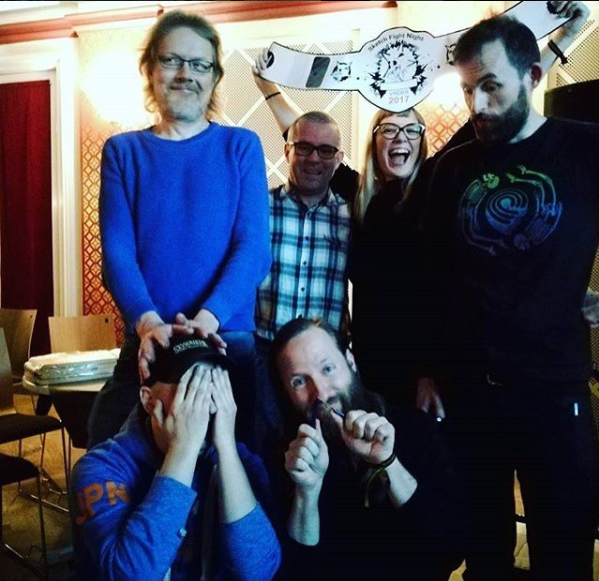 Hvis du efter endt festival tænker “DET FUNGERER IKKE, MEN JEG SKAL DA HA!” så send mig en mail på stinestregen(a)gmail.com? Der er helt sikkert tegninger med bøger – men jeg tror ikke med bibliotek, desværre. Måske tænker du på noget med dengang, jeg var med i en bogklub? Omend andet så skal jeg ihvertfald have en fin gratis tegning. Så når der er en der kommer og mumler noget om bøger og/eller rotter, så er det mig. Jeg satser på at kigge forbi og så en tegning.